The cost to Japanese business of sanctions imposed against Russia by Western countries could be $10 billion according to the Russian Trade Mission in Japan. Trade between Moscow and Tokyo was almost $30.4 billion in 2014. “In the medium term we can talk about up to $10 billion. This is a very substantial damage," Sergey Egorov, the Trade Representative of the Russian Federation in Japan told RIA Novosti on Wednesday. Japan imported $22.2 billion worth of good from Russia last year while exports to Russia were $8.2 billion. 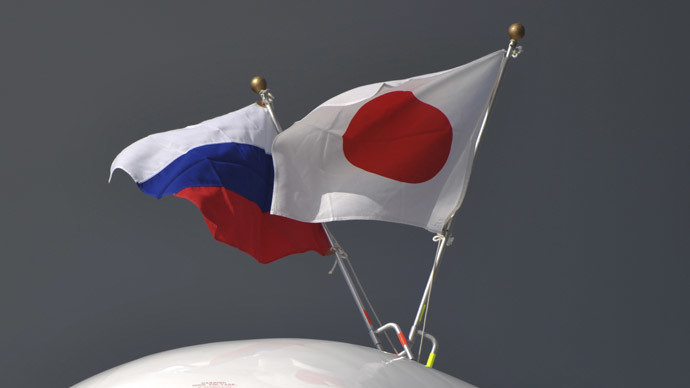 In 2013 Russian-Japanese trade amounted to $34.8 billion. "Basically, the decline was due to the depreciation of the ruble. This caused a damage of several billion dollars for the Japanese economy. Secondly, the reduction of Japanese exports to Russia happened because of tighter restrictions in state regulation of trade in high-tech production,” Egorov added. Imports of Japanese cars and industrial machinery were significantly reduced. Japanese banks have problems with providing export credit for equipment sold to Russia, according to the trade representative. The cost of such equipment is significant, usually ranges from $100 million to $1 billon. Russia has been facing several rounds of Western sanctions since March 2014 over its stance on Ukraine. Last April, Japan followed US sanctions with 23 visa bans on Russian citizens, including government officials. Later in August, Moscow banned the import of agricultural production, foods and raw materials from sanctioning countries for one year.